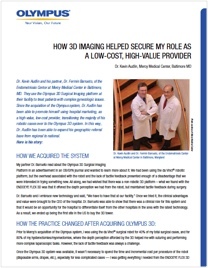 How does 3D provide a cost-effective alternative to robotic surgery? traditional 2D surgical imaging systems. Hear what surgeons are saying.